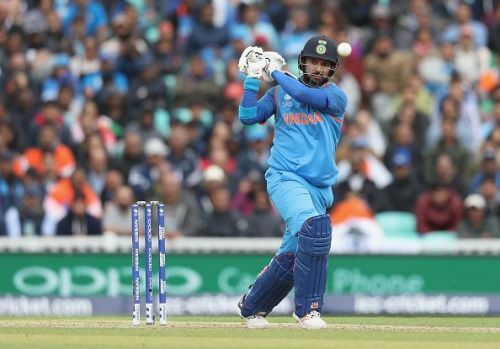 Veteran Indian batsman Yuvraj Singh struck form during Punjab's Round Nine clash against Railways in the 2018 edition of the Vijay Hazare Trophy. The flamboyant left-hander compiled 96 from 121 balls and combined brilliantly with centurion Gurkeerat Singh Mann. Riding on a mammoth fourth-wicket partnership between the two batsmen, Punjab amassed 284. Despite skipper Saurabh Wakaskar's valiant ton, Railways were bowled out for 210 and fell short in the revised run-chase. Meanwhile, a disciplined bowling performance enabled Mumbai to rout Goa at the Just Cricket Academy Ground in Bengaluru. Dhawal Kulkarni led the way with a three-wicket haul. Opener Akhil Herwadkar's unbeaten century made light work of the below-par target. In the other Elite Group A encounter, Vidarbha clinched a thriller against Maharashtra. On a sluggish surface, the all-round efforts of Darshan Nalkande proved to be the difference between the two sides. Powered by their imposing top-order, Delhi surged past the 300-run mark before curtailing an underwhelming Andhra outfit at the iconic Feroz Shah Kotla. While captain Gautam Gambhir chipped in with a handy 37, Himmat Singh top-scored for the hosts with a stellar 75-ball 102. Kerala paid the price for their limp batting display at the Palam A Stadium in Delhi. With the slow track not aiding stroke-play, they could only manage 189 despite batting out the full 50 overs. Hyderabad cruised to the target with seven wickets and 20 balls to spare. Three-wicket hauls from medium pacer Pankaj Rao and off-spinner Shivendra Singh helped Chhattisgarh defend a paltry total of 212 in the Elite Group B contest against Odisha. In what was a low-scoring match, no batsman from either team reached fifty. In the Plate Group, Uttarakhand and Puducherry registered thumping wins against Mizoram and Sikkim respectively. A sparkling century from wicket-keeper batsman KB Pawan as well as an unbeaten 72 from Hokaito Zhimomi allowed Nagaland to hunt down their seemingly stiff target of 272 in the riveting game against Arunachal Pradesh. Punjab - 284/6 in 50 overs (Gurkeerat Singh Mann 101, Yuvraj Singh 96, Shubman Gill 53, Chandrakant Sakure 3/85) beat Railways - 210 in 44.3 overs (Saurabh Wakaskar 104, Mayank Markande 3/40, Arshdeep Singh 2/39, Siddarth Kaul 2/47) by 58 runs (VJD method). Goa - 186 in 49.5 overs (Suyash Prabhudessai 52, Dhawal Kulkarni 3/32, Shams Mulani 2/31) lost to Mumbai - 189/3 in 35.3 overs (Akhil Herwadkar 108*, Krishna Das 2/31) by seven wickets. Maharashtra - 205/8 in 50 overs (Ankit Bawne 62, Darshan Nalkande 2/26, Aditya Sarwate 2/41) lost to Vidarbha - 206/7 in 49.2 overs (Akshay Wadkar 82*, Darshan Nalkande 53*, Samad Fallah 2/33) by three wickets. Delhi - 314/5 in 50 overs (Himmat Singh 102*, Unmukt Chand 62, Girinath Reddy 2/67) beat Andhra - 241 in 49.5 overs (Prasanth Kumar 54, Nitish Rana 2/9, Kulwant Khejroliya 2/29) by 73 runs. Kerala - 189/6 in 50 overs (Vasudevan Jagadeesh 62, Saaketh Sairam 2/27, Ravi Kiran 2/32) lost to Hyderabad - 190/3 in 46.4 overs (Rohit Rayudu 57*, Bavanaka Sandeep 48*, Jalaj Saxena 2/22) by seven wickets. Chhattisgarh - 212 in 49.5 overs (Harpreet Singh 43, Shakeeb Ahmad 38, Anuraj Sarangi 3/26) beat Odisha - 164 in 41 overs (Rajesh Dhuper 38, Pankaj Rao 3/15, Shivendra Singh 3/31) by 48 runs. Arunachal Pradesh - 271/4 in 50 overs (Kshitiz Sharma 109, Akhilesh Sahani 102*, Arun Chauhan 2/56) lost to Nagaland - 272/4 in 44 overs (KB Pawan 112, Hokaito Zhimoni 72*, Sandeep Thakur 3/52) by six wickets. Uttarakhand - 321 in 50 overs (Karna Veer Kaushal 118, Saurabh Rawat 61, Taruwar Kohli 6/65) beat Mizoram - 169 in 48.4 overs (Sinan Abdul Khadir 73*, Vaibhav Bhatt 3/38, Deepak Dhapola 2/11) by 152 runs. Sikkim - 89 in 43.2 overs (Bijay Subba 17, Fabid Ahmed 5/8, AM Narayanan 3/21) lost to Puducherry - 92/1 in 15.2 overs (D Rohit 38, AM Narayanan 35*, Binod Gupta 1/11) by nine wickets.